Because the best bloggers in ed tech deserve to wear their pride in their sidebar. 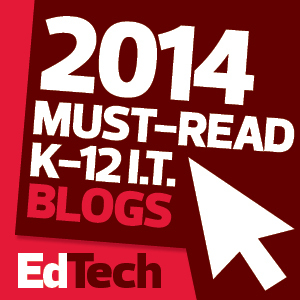 Is your blog featured on the EdTech 2014 K–12 Must-Read IT Blogs list? You can share this with your readers by embedding a badge on your site. See the full list of honorees here.